A dancing competition for teenage couples, sponsored by New Spotlight and held in various Dublin clubs in June/July 1968. The prize on offer was a £125 Yamaha voucher for the young man, a day’s wardrobe shopping for the girl and a night out with her partner, or favourite beat artist. 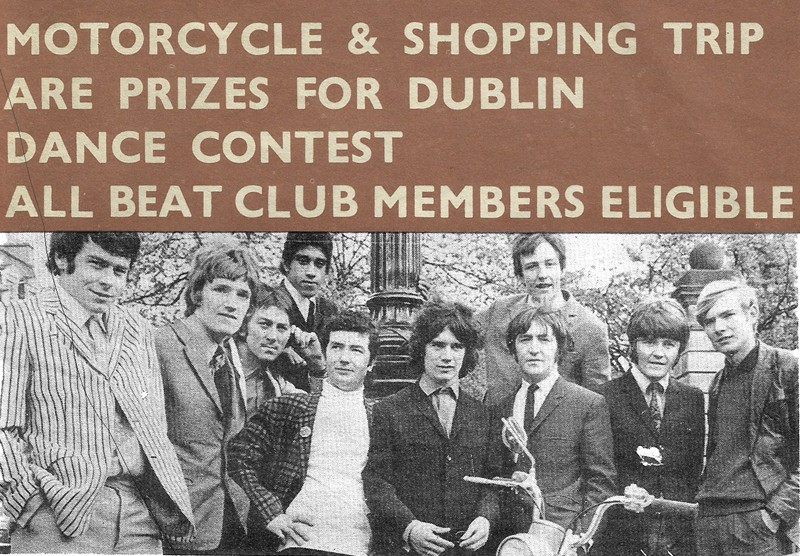 The beat artists, including Phil Lynott and Pat Egan (first left in B&W photo above), were pictured together outside the main entrance to Stephen’s Green for the cover of this issue of New Spotlight from which the above scans were taken. 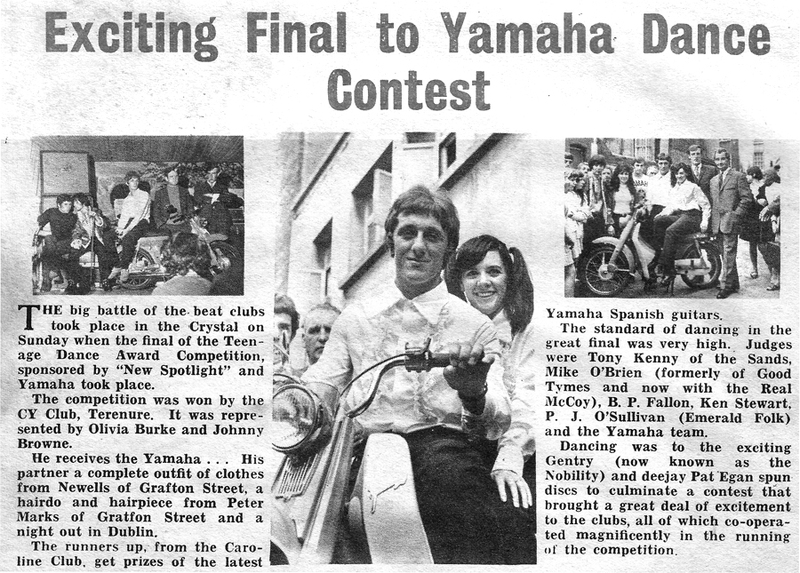 The article below, from a later issue of New Spotlight, reports on the outcome of the competition with pics of the winners, Olivia Burke and Johhny Browne. It doesn’t say whether Olivia’s winning night out was with Johnny or one of the beat artists.